My diet seems to always go off-kilter after a vacation. I have a hard time getting back to my normal routine and instead continue to indulge my cravings with little to no regard for balance even after I’ve shaken the travel dust–or in this case the beach sand–off my feet. Since returning from Mexico a little over a week ago all I’ve wanted to eat is carbs–bread, pasta, rice, tortillas–and it hasn’t helped that my office is located very close to eateries that make it hard for me to ignore these cravings. There’s a ramen place minutes from my office with the most irresistible tonkatsu ramen. And there’s a Chinese restaurant in the other direction that serves Singapore noodles. All I have to do is pick up the phone and five minutes later my takeout is ready for me. The portions are so big that normally one order of noodles will last three meals but last week I barely left enough for a second serving. At home I’ve been snacking on corn tortillas with melted jack cheese and hot sauce and serving pasta or rice for dinner. Then there was the birthday lunch at work; the birthday boy chose a burrito place in San Francisco for the party….so, more heavy food. Finally, my body must have reached its limit; my tastebuds got overloaded and now I want nothing to do with rich foods for a while. I visited my local farmers market last Sunday and stocked up on my favorite fruits and vegetables so it looks like my diet is ready to get back on track. With a larder full of fresh market ingredients once again I dreamed up these little crostini for Sunday lunch. Prosciutto from my local deli counter, creamy brie from Marin, fresh arugula and radishes from the farmers market, mint from my garden and jam from the coast. The idea started with the ham, cheese and jam but it wasn’t until I started adding the greens and radish that I became excited. With taste buds that have been abused for the last week it was so refreshing to enjoy clean flavors again. 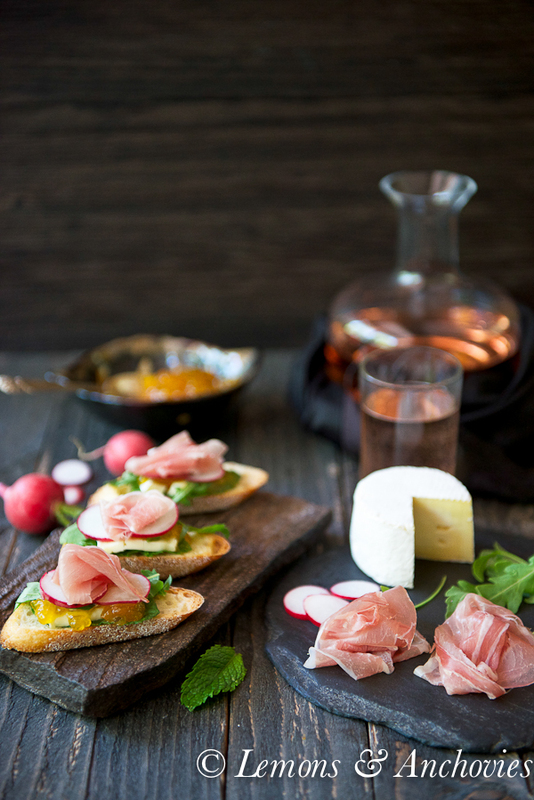 These crostini are the perfect balance of salty, sweet, peppery and minty. You might think it overkill to include both radishes and arugula here but I assure you that the lively mint and pleasantly sweet jalapeño-tangerine jam (not spicy at all) balance the flavors out quite nicely. Even if you do decide to use just one peppery element don’t skip the mint–I happened to set my eyes on the mint growing outside my kitchen window as I was laying the ingredients on the counter and decided to pick a few leaves and wouldn’t you know, they really did make this appetizer come to life in my mouth. I enjoyed these little bites so much that when I arrived home from work last night and didn’t find the normal dinner choices appetizing, this ended up being my dinner, too. My taste buds thanked me and you might, too, if you try this recipe. The perfect balance of salty, sweet, fresh and peppery. 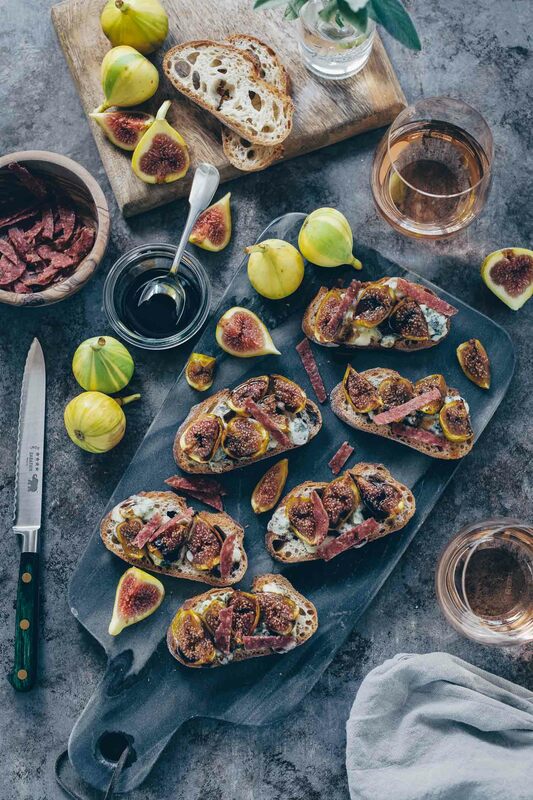 These crostini also make for an elegant appetizer out of ingredients you might already have in your pantry. Preheat your oven to 400℉. 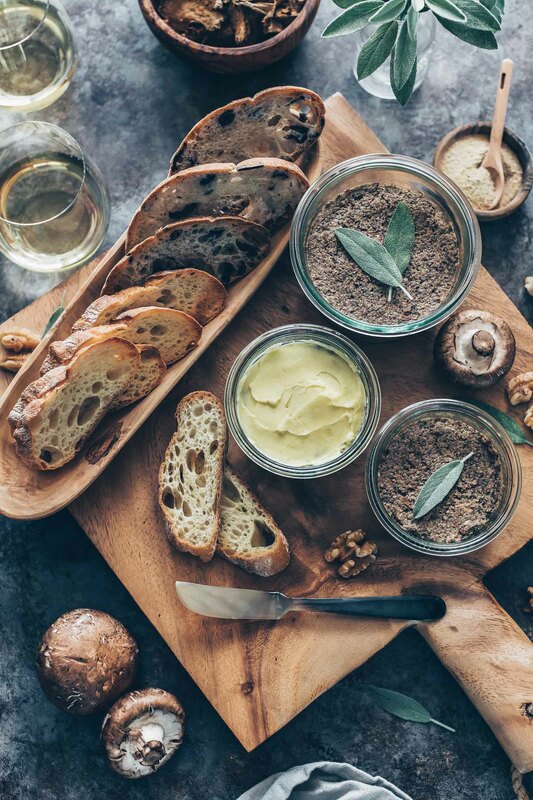 Brush each baguette slice with a little olive oil, arrange on a baking sheet and put in the oven for about 5 minutes or until lightly toasted. Layer the toppings in any order you wish and serve immediately. 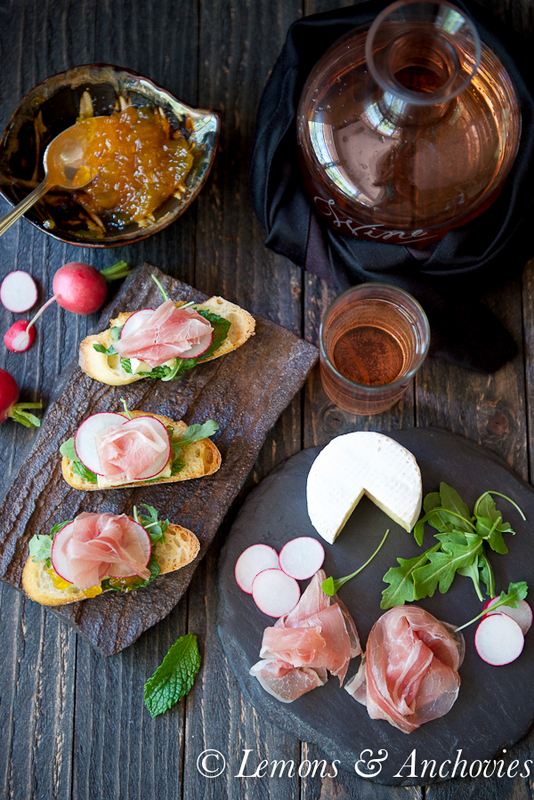 To serve for company, allow about 4 crostini per person if serving other appetizers. What beautiful and delicious looking crostini! I know exactly what you mean about post vacation eating – it takes a bit to get back on track! 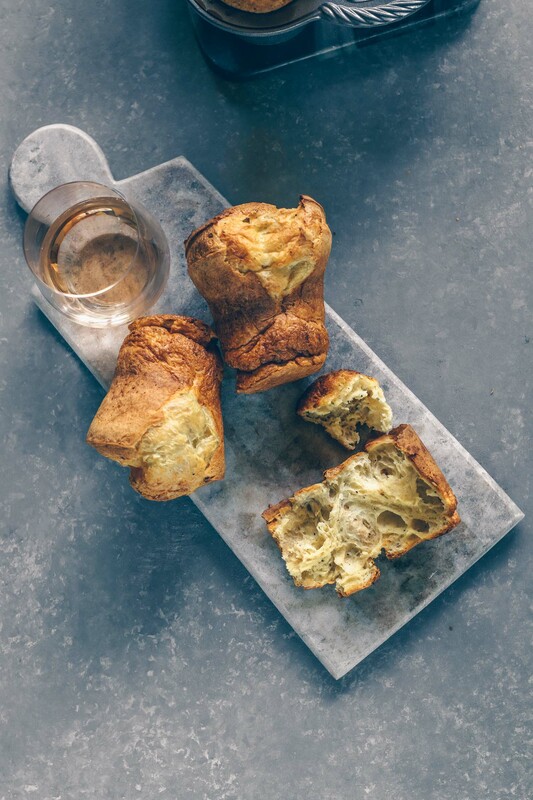 Absolutely gorgeous pictures and also the recipe sounds great ! Lovely crostini! What a great choice of toppings. 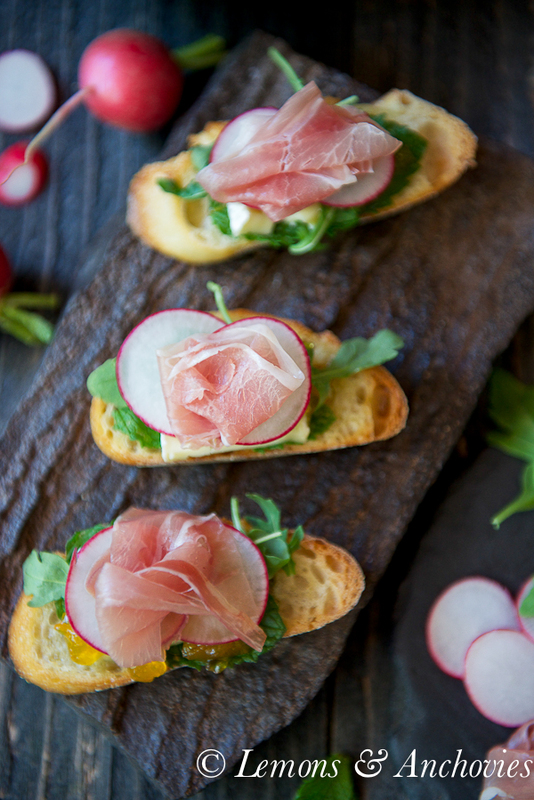 This crostini looks like a perfect balance of flavour, and healthy-fresh deliciousness. Gosh, Jean! Beautiful and tasty crostinis!! Your images are pristine…can just reach through the screen to take a bite or two. Ah, I saw this on instagram! I could eat this every day and die a content woman. Can you stock my fridge up for me???? So beautiful! 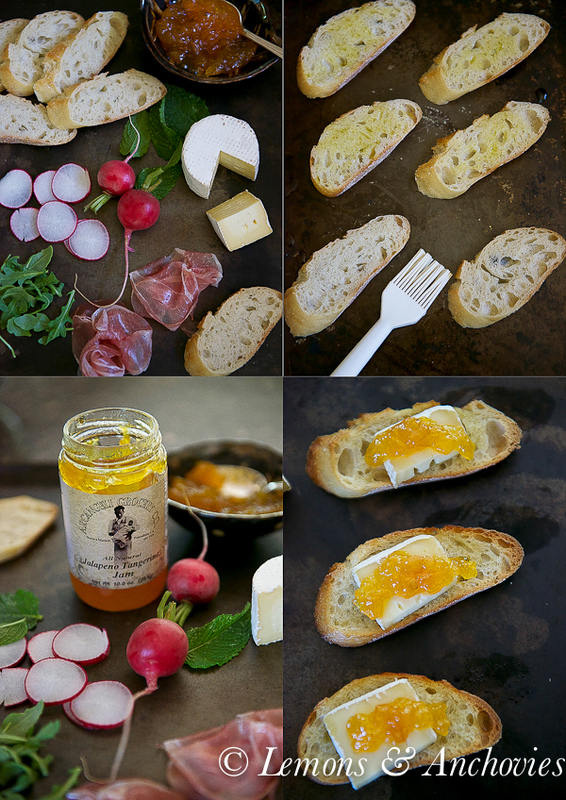 I love crostini and the jalapeno-tangerine jam sounds amazing! I could easily make a dinner out of these crostini! Now I’m dreaming of the flavor combo :). This is FANTASTIC! I love the sweet and spicy of the jam against the saltiness of the prosciutto and creaminess of the brie. Just outstanding! So I have this cravings all the time…no vacay needed. But these sound like amazingly wonderful bites of heaven. Beautiful, like a piece of art work. But not too beautiful to eat, this looks so fresh and delicious! Your crostini is a masterpiece! Truly it is! I absolutely LOVE the combination of flavors you put together and those photos are breathtaking! Just simply supreme Jean!!!! I agree with Lisa, these are the most gorgeous crostini I have ever seen. I go through those carb phases too…especially dangerous when coupled with chocolate phases (! )…so I totally understand. And I would gobble these all up. Beautiful job on your photos -this is a very special appetizer recipe…..who needs to go out to eat when this is available at home? What pretty and satisfying start to any meal. I could see myself enjoying this on a leisurely weekend. I’m glad to hear the diet is back on track. Holidays are hard on routines. These crostini look delicious and not too heavy. Gorgeous colours in this dish! Gorgeous photography, too! 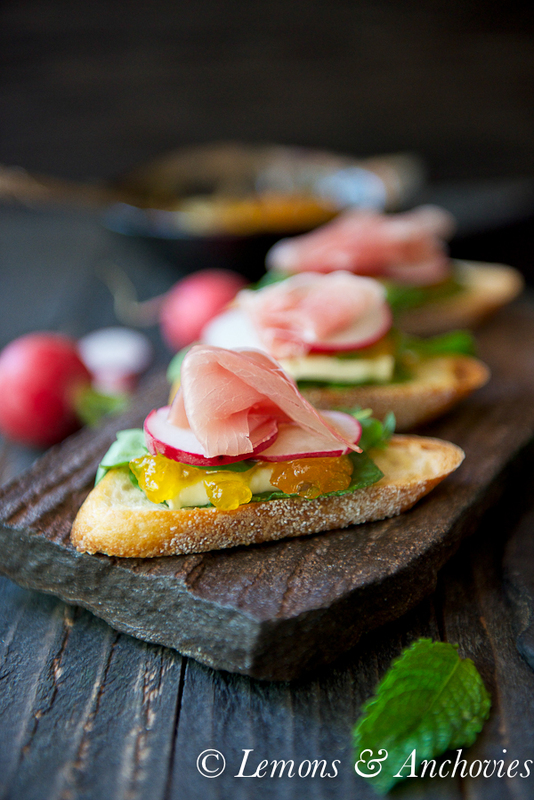 I am in love with the “Spring”-like colours of your crostini! This is how I like my food. 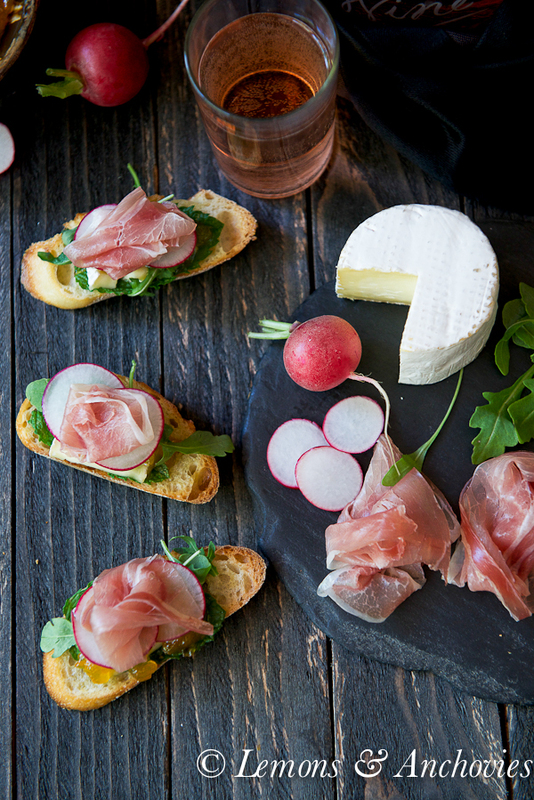 I am totally digging the contrast in flavours, too: the sweetness of the jam; the spiciness of the jalapeno, radishes, and arugula; the creaminess of the Brie; the saltiness of the prosciutto. This dish is definitely well-balanced!